Jason, 28, had been going to his local Artarmon F45 studio for 18 months without seeing the results he was looking for. He’d even taken up the F45 challenge a couple of times without much of an improvement. Jason’s 2018 New Year’s Resolution was to turn his health and fitness around; this meant a commitment to not only his exercise routine but to his nutrition. Jason chose to pair his next F45 8-week challenge with CHEFGOOD. He decided on CHEFGOOD as the meal plan follows the rules of the challenge diet which is notoriously difficult to shop for and involves a lot of preparation. With CHEFGOOD Jason was able to have challenge-compliant meals delivered to him, a significant convenience and time-saver! Over eight weeks Jason was continually surprised by just how much food he got in his 1800 calorie plan! And, perhaps best of all, he lost over 15kgs! 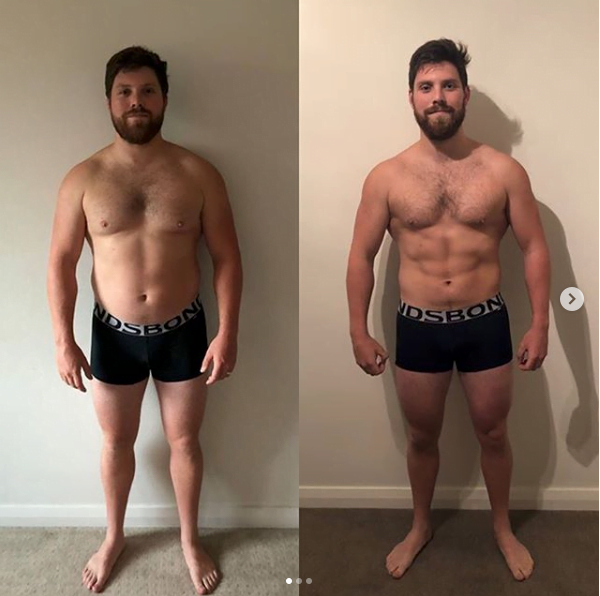 Jason had already been going to F45, so puts his incredible weight loss down to his change to CHEFGOOD. Since starting CHEFGOOD Jason has never felt healthier, and still gets to enjoy treats like walnut crunch yoghurt (his favourite!). He would tell anyone thinking about ordering with CHEFGOOD that the convenience of having your pre-made meals delivered is invaluable. He said CHEFGOOD does all the thinking for you, and it’s a no-brainer if you’re looking to lose weight and transform your body to be its best. Be like Jason. Order with CHEFGOOD today. Morning routines that winCongratulations to Fotini!